On April 30, Florida governor Charlie Crist, a candidate for the U.S. Senate, changed his political affiliation from Republican to Independent. This move is quite surprising, because three months previously, he had a 30% lead for the Republican nomination. The Republican Party touts itself as a broad tent, capable of including beliefs held by a wide range of Americans. Indeed, there was a time when that was true; Dwight Eisenhower was overwhelmingly elected in 1952 and 1956. It wasn’t until well after World War II ended in 1945 that General Eisenhower announced that he was joining the Republican Party. Most observers feel that if he had said that he was joining the Democratic Party, the Democrats would have won with him in 1952 and 1956. Poor Charlie Crist may be running in the wrong era. Perhaps more accurately, running in the wrong year. Or perhaps he is running in the wrong country as described by E.J. Dionne in the Washington Post. As recently as 2006 he won the governorship of Florida, and in 2008 he was in contention to be John McCain’s running mate. The fact that McCain chose Sarah Palin over Crist foreshadowed the fate of both McCain and Crist in less than two years. 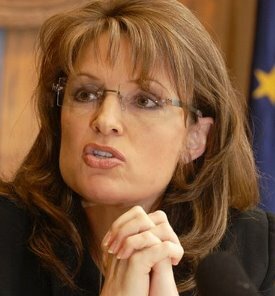 Sarah Palin has become the darling of the Tea Party, a novice party that didn’t even exist in 2008. However her glorification of “all things conservative” and the personal characteristics that go with that line of thinking has had a viral effect among the body politic. She has appealed to gun-lovers, tax-haters, anti-choice activists, and many others who seem to hold grudges against government or even anyone who has benefitted from government programs. package. A considerable amount of the $787 billion would be allocated for Florida. This was one of those moments when Obama’s “for better or for worse” commitment to bi-partisanship played some strange games. The president felt that Governor Crist deserved to bask in the glory of the potential federal largesse, especially since much of the money that would benefit the state’s citizens would be channeled to projects through the state. Unlike other Republican governors, Charlie Crist put the interests of the citizens of his state above his own hubris, political ambitions, or personal stubbornness. He didn’t fight the concept of federal grants; he worked with the president to provide money to what they jointly considered to be the most worthwhile projects. As has been a common ritual in the announcement of a large federal-state partnership, the governor made opening remarks and then introduced the president. It was the transition that caused the problem. As Governor Crist left the podium and President Obama approached it, they gave one another a congratulatory, non-embracing hug to recognize their appreciation for one another’s efforts. The reaction to “the hug” was delayed. At the time it was considered ritualistic, appropriate, and understandable. But as the Tea Party movement gained momentum, Crist became a target of right-wing Republicans. The fact that he would support the stimulus program; would appear on stage with the president of the United States, and would not resist a tepid hug was more than Sarah Palin, Tea Party members, and many other Republicans could take. Crist went from the short-list of potential GOP nominees for president in 2012 to an outcast. Concurrently, Crist’s main opponent for the Republican nomination, former Florida House speaker Marco Rubio, began showing the video as a means of questioning Crist’s GOP credentials It’s all been downhill for Crist since then, at least within the Republican Party. His 30% lead over Rubio evaporated; Rubio then had his own double-digit lead, and Crist was constantly on the defensive. His promising political career was potentially doomed. However, Crist saw that being unpopular with the GOP did not mean being unpopular with the broader electorate. He had plenty of support; just not necessarily in the Republican Party. So, on the last day of April, the governor threw off the shackles of the Republican Party and announced that he was running for the Senate as an independent. No sooner did he do so than he was once again in the lead in the polls. Actually, he had not personally become more popular, rather the group that was being polled was the wide base of Florida voters, rather than just those who were likely voters in the GOP primary. Perhaps Crist will recover from the Tea Party attacks. But the shadow of Sarah Palin now looms over her “queen-maker,” John McCain. 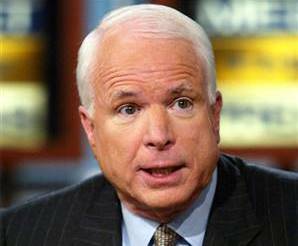 He too faces opposition in his race to retain the Republican nomination for the Senate in Arizona. The one-time self-styled maverick went into chameleon mode. He no longer wanted to move beyond “don’t ask-don’t tell;” he opposed meaningful federal immigration reform; he reversed himself as the leader of GOP bi-partisanship by calling the concept dead, even as President Obama reached further tothe accommodate Republicans. Finally, he attempted to re-write history by declaring that he never was a maverick. In the case of Florida, the remaining moderate Republicans may get the last laugh as they join independents in electing Charlie Crist in November. But Arizona is more ominous; either the state will get a retro-McCain who may finally win Rush Limbaugh’s approval, or the Republicans will nominate someone even further to the right. The Tea Party is barely a year old and like all third parties, it is paving its own path. Third parties have never won a presidential election, but they have wreaked havoc for other candidates up and down both parties’ tickets. 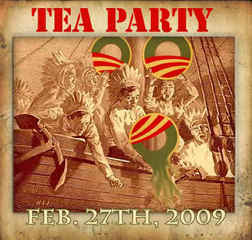 Predicting what the impact of the Tea Party will be in 2010 and beyond is dicey. They could successfully take over the Republican Party and win some key elections, positioning them to dictate who the GOP presidential candidate will be in 2012. On the other hand, they could be trounced by millions of Americans who dislike extreme politics of any sort. What’s the good news in this for progressives? It’s that we can continue to be ourselves and let the internecine fighting among Republicans or former Republicans continue. We sound reasonable and moderate by comparison. We have a president who still has long coat tails and some outstanding members of Congress. Let’s go about our business and slowly but surely advance our agenda. Generally noise in politics is bad; the Republican Party is leading the decibel race; let’s keep it that way.